Year after year, more organizations are joining the #GivingTuesday movement and getting in on the action to support various causes that embody their values. Now in its fifth year, the campaign has seen multiple charities, universities and major companies commit to the movement and donate through various creative initiatives. Following seasonal shopping spree days, Black Friday and Cyber Monday, Giving Tuesday amplifies the efforts of consumers and brands during the charitable holiday season through an international day of giving. Founded by 92nd Street Y, #GivingTuesday is the epitome of the positive change and generosity harnessed purely through social media and technology. It not only unites countries but also gives individuals a chance to donate and empower each other. #GivingTuesday in 2015 raised $116.7 million in online donations, which was a 155% increase from 2014. Several campaigns have been extremely successful, but it is important to understand the driving factor behind large corporations and brands partaking in #GivingTuesday. The movement helps companies highlight their brand values and expand on their existing efforts to engage customers and improve brand loyalty. It also helps brands interact with their employees and facilitate a socially responsible environment. This charitable campaign benefited children and aimed to provide every baby the necessary resources they need to grow and have a successful future. Initiatives ranged from educational support, financial support and product supplies through various organizations such as Save The Children. Jennifer Hudson supported the brand and was the face of the campaign. Hudson helped Johnson’s assemble baby care kits that were distributed across the country. She also raised awareness for maternal and baby health issues. Johnson’s encouraged their consumers to get on board with the hashtag #MoreHandsMoreHearts and to show support for the initiative by creating their own. The campaign was championed using Facebook, Instagram and YouTube. Johnson’s additionally campaigned using the Donate a Photo app. Every photo shared during the December holiday season was met with a doubled donation given that Save the Children was the beneficiary of the donation. This helped the company demonstrate their commitment to giving back and show their customers that they are so much more than just a brand. 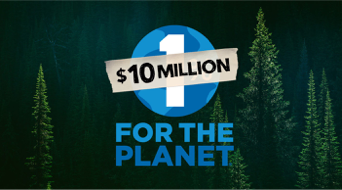 This year, Patagonia pledged to donate 100 percent of their Black Friday sales in store and online to grassroots environmental groups. The numbers totaled $10 million this year, five times of what they expected and the entire amount will go to a large network of 800 organizations around the world. This decision was motivated by the U.S election results. After a difficult and divisive time, Lisa Pike Sheehy, VP of Environmental Activism at Patagonia believes that “environmental values are something we all embrace” and that they are good way to unite the people. After successful campaigns such as the “Worn Wear Swap” during Black Friday 2014, Patagonia continues to champion their cause of environmental protection and maintains their position as environmental stewards in the clothing industry. Adopting a very different approach from their competitors REI, Patagonia encouraged shopping during Black Friday to help other organizations, whereas REI shut their doors and encouraged people to spend their day outdoors instead of shopping through the #OptOutside pledge. 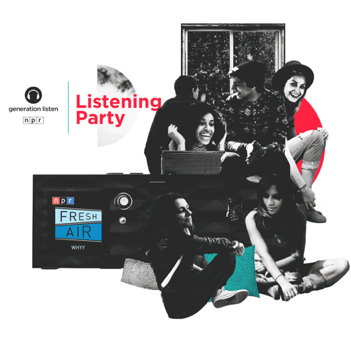 NPR Generation Listen partnered with Case Foundation to launch #GivingTuesday Listening Party Kids and an NPR Listening Party Hub. NPR is cultivating a community of listeners passionate about different causes and relevant issues today. The listening kits further the art of storytelling and mobilize others for good during Giving Tuesday. The Giving Tuesday Kit contains all the needed items to host an NPR Listening Party and the stories are curated to share philanthropic experiences, reasons why people give and people’s personal stories of giving. Funded by the Case Foundation, a foundation that invests in world-changing ideas, NPR aspires to take people away from their screens and open up their minds and ears through the evocative storytelling. The Case Foundation invests in organizations to harness the best of entrepreneurship, innovation and technology to tackle urgent problems in society. This aligns with NPR’s goal of having a more informed and knowledgeable public through storytelling. Both the organizations are igniting a movement of change and civic engagement through their collaboration. This #GivingTuesday, MSD supports the Desai Foundation, which empowers women and children through community programs to elevate health and livelihood in the US and India. The Desai Foundation is offering four donation opportunities that allow you to choose the program area that is most meaningful to you. Click here to make your #GivingTuesday contribution!